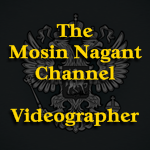 Southern California Mosin Owners • View topic - NRA Life time member! With a great pleasure & honor, I am very glad to announce that I became, officially, NRA Life time member! Become a Life Member of the NRA Today! Re: NRA Life time member! Here is really cool NRA desktop! Next step is Patriot Life Membership - Patron. You either in or out! Just got it... Very proud & honored!